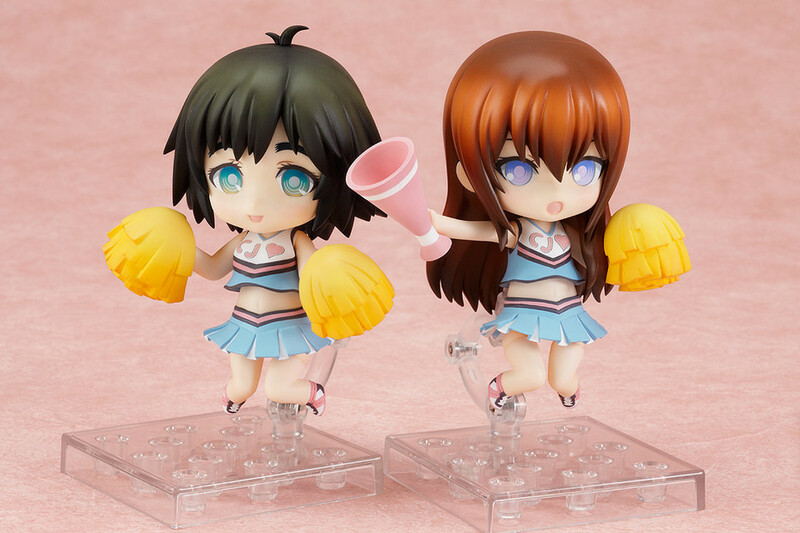 The two Steins;Gate girls are working together to cheer everyone up! 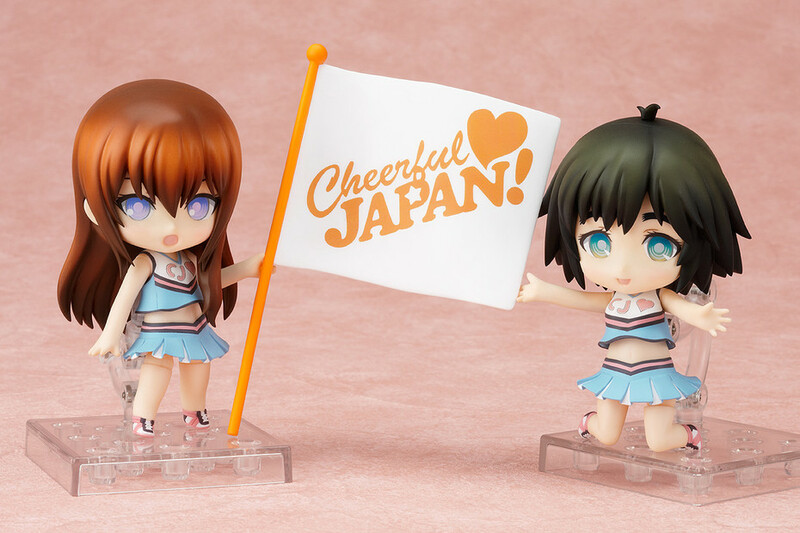 As a part of the fifth month of the 'Cheerful JAPAN!' 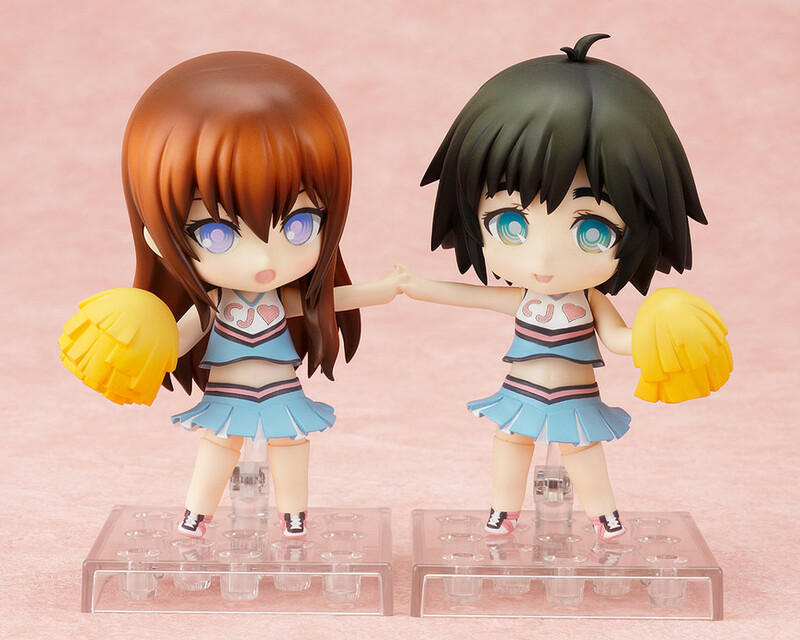 project, A Nendoroid set of both Kurisu Makise and Mayuri Shiina from the game and anime series 'Steins;Gate' are rejoining the Nendoroid world in cheerleader outfits! They come complete with pompons, megaphones and support flags. 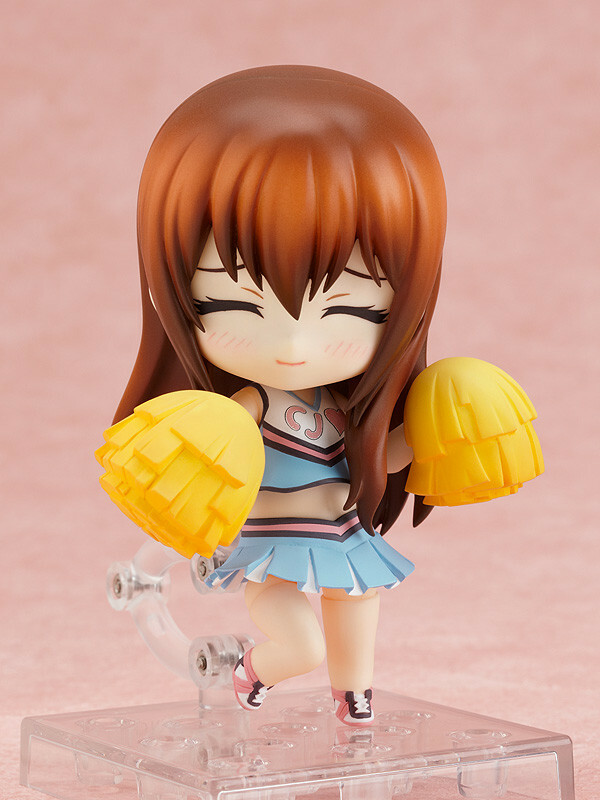 Kurisu comes with an encouraging expression as well as a worried expression, while Mayuri comes with a cheerful expression and a '(´・ω・｀)' face - but it doesn't matter which expression you use, if you pose the two of them together, they'll be set to cheer for anyone! 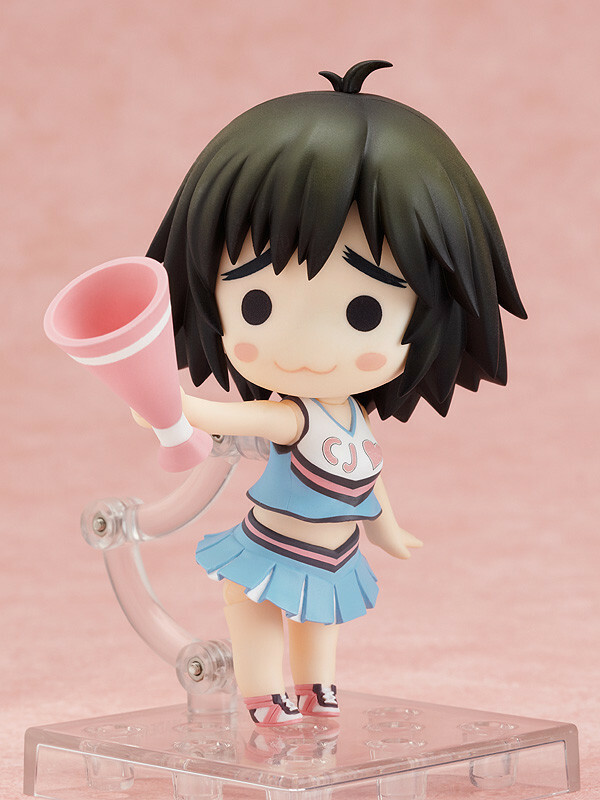 For each sale made, Good Smile Company will donate 2000JPY to aid the relief efforts in Japan. Orders can be made between 9th September 2011 at 11:00 until the 26th September 2011 at 20:00. Delivery will be in January 2012. If you have any questions please email shop@goodsmile.jp Japanese only. You may be charged additional fees such as import tax when buying from overseas. Please be aware of this before ordering.